Made from pure plastic resin, Ssangleong Polypropylene Woven Bags are able to last 300% longer than others. 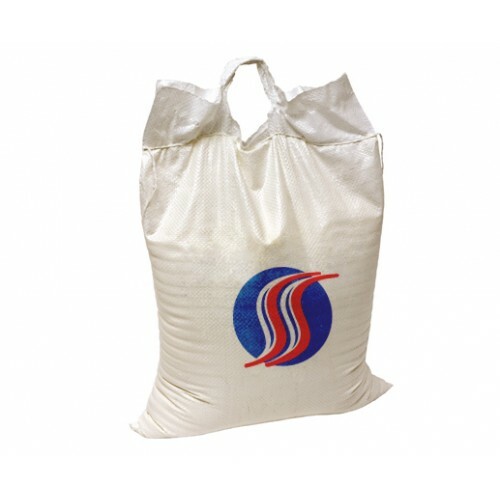 This unique feature in our 25 kg and 50 kg bags endure high resistance to falls, friction, tearing and breakage from the loading and unloading of individual bags. Ultraviolet stabilisers are also added in our bags to prolong their shelf-time. APPLICATION: Chemicals, Fertilizers, Cement, Urea, Minerals, Resin, Polymers, Rubber, Sand, Metal parts, Concrete elements, Sugar, Salt, Flour, Grain, Seeds, Spices, Dates, Pulses, Agro products, Fish meal, Cattle feed, Mails, letters, documents.